We are passionate, driven and absolutely love what we do! With over 20 years of consumer retail experience in the Asia Pacific region, Hsien Naidu has been integral in the growth of many local SMEs. Her wide experience in handling key executive positions from varying industries allowed her to venture through franchising, marketing, branding and intellectual property protection strategies. Building on her passion to increase each client organisation’s Net Profit Value, she founded Astreem Consulting, specifically to be agents of growth. 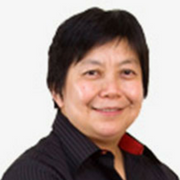 As a Certified Senior Practicing Management Consultant and SCOPE IP and ICV Consultant, Hsien and Astreem are committed to bringing innovative and relevant marketing insights to the business community. Her ongoing project partnerships with SPRING, IP Academy, IE Singapore and FLA strengthen Astreem’s presence in the region. Abhishek graduated from S P Jain Center of Management, International with Masters in Business Administration in Global Logistics and Supply Chain Management. With over 9 years of experience in the franchise industry, Abhishek is the Subject Matter expert for business structure development including strategy planning, supply chain management and audit plans & performance target development. With Astreem, Abhishek helps clients develop robust and scalable processes using the Business Excellence framework as a foundation for growth. Seth gained extensive regional exposure during his time in International Enterprise Singapore, where he was part of the South East Asia Group. In addition to working together with Singapore based companies on market entry strategies into the countries of Indonesia, Philippines, Myanmar, Cambodia and Brunei, Seth’s purview included new project initiatives such as Singapore’s entry into regional Indonesia provinces, Indonesia-Singapore Ministerial Investment Working Group, Rice Diversification from Cambodia and Singapore’s re-entry into Myanmar. Prior to International Enterprise Singapore, Seth attained insights on public relations and communications while working at Weber Shandwick Singapore, one of world’s leading public relations firm, serving Singapore based international brands such as General Motors, Windows Mobile and Porsche. 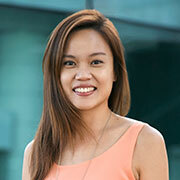 Graduated from the University of Singapore in applied Mathematics and Technopreneurship, Eunice has been focussing her career on entrepreneurship and building hands on business experience. With her deep passion and interest in Food and Beverage, she co-founded and successfully ran an Food and Beverage business known as “Strictly Pancakes”. Having been in the industry for over 5 years and developed a franchise system for the business, she has an all rounded understanding of Food and Beverage business operations and franchising. Equipped with real business owner and operator experience, she is able to help owners exploit their intellectual properties to prepare their business for franchising. He was previously the COO of Ya Kun Coffee Master Franchises in Myanmar and successfully expanded the café chain to 6 outlets across the country. Currently, he manages Quantum Talent, a HR firm focusing on Executive Search, Payroll Management and HR Consultancy in Myanmar. He is also the co-founder of Myanmar Entrepreneur Network (MMEN), a 5000-member strong entrepreneur network with monthly networking events. 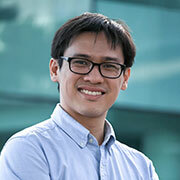 Prior to Myanmar, Tianhao serves as a management consultant at Monitor Singapore where he was responsible to develop strategies for governments and Fortune 500 companies in South East Asia. 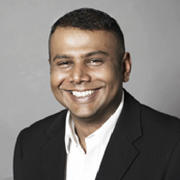 Stree Naidu has more than 17 years of experience in the Asia Pacific IT industry. As the current Vice President of Imperva Asia Pacific and Japan, he is responsible for the overall business operations across markets including Australia, China, Japan, Singapore, and New Zealand. Stree has been working with Imperva for 5 years, and brings with him a depth of technical knowledge and experience in developing and growing software businesses. In his role with Imperva, Stree is focused on providing solutions to help customers in Asia Pacific protect themselves against data security threats, while also leading the regional executive team. 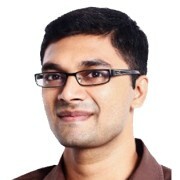 His knowledge and expertise has earned him a reputation as a leading data security authority for both public and private sectors in Asia Pacific. Based in Singapore, Stree travels extensively around Asia Pacific to lead the Imperva team and meet with clients. In his spare time, Stree enjoys spending quality time with his family, racing and sailing. Shy Tsong has an extensive experience in intellectual property registration and manages worldwide intellectual property portfolios for clients. 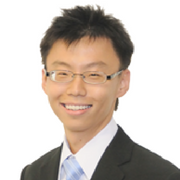 He specialises in all areas of intellectual property law and is a registered Patent Agent for Singapore. He is also a member of the Association of Singapore Patent Agents (ASPA) and a registered Trademark and Industrial Design Agent in Malaysia. 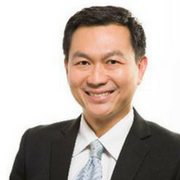 Shy Tsong graduated in 1993 with a Bachelor of Laws (Hons) from the National University of Singapore and was admitted as an Advocate and Solicitor of the Supreme Court of Singapore in 1994. He joined Donaldson and Burkinshaw in 1996. In addition to his law degree, he also holds an Advanced Diploma in Computer Studies. Madam Han is an inspirational and experienced professional in the operations field. She is the founding shareholder of Multi-Chem Limited, a company listed on the Singapore Exchange (SGX). Multi-Chem is headquartered in Singapore and has 25 subsidiaries and 2 associated companies across Asia Pacific region. Madam Han holds a successful performance history of over 30 years in operations and management. Currently on the Board of Directors as the Chief Operating Officer of Multi-Chem Limited, Madam Han has in-depth expertise in developing and modelling effective and resource-efficient operation models. As a business leader with vast knowledge, her expertise and guidance is of great value to Astreem. Join us if you feel our pulse and love to make a difference ! We are always on the lookout for capable and driven people to join our team. If you like a fast paced environment and have a hunger for success, just drop us a message!